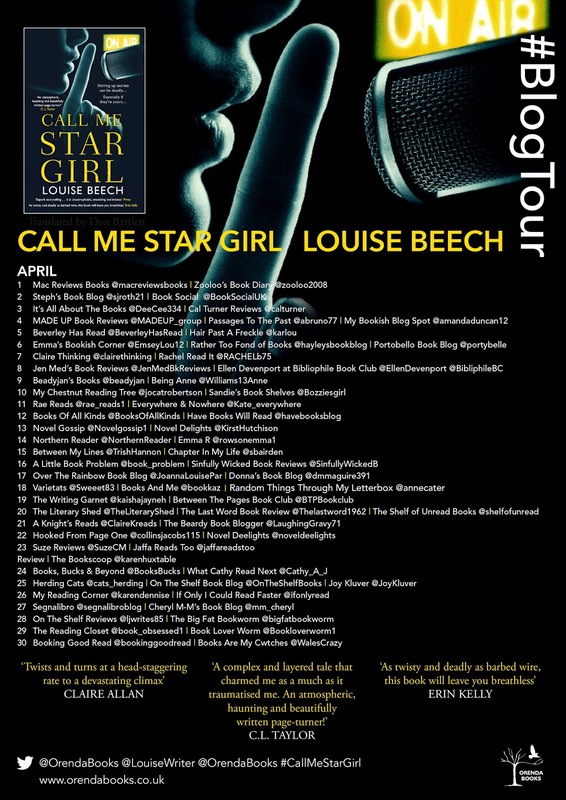 I am a huge fan of psychological thrillers and have heard so many great things about Louise Beech's books that I jumped at the chance to read this when Anne Cater emailed me. And am I glad that I did! 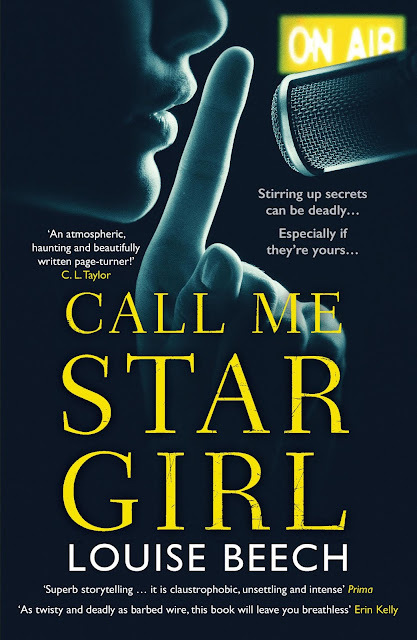 Call Me Star Girl was a rollercoaster of a book! There were so many twists and turns. I thought I had it figured out, then I didn't, and then I thought I did again, and then I didn't. That's the genius of Louise's writing. I won't rehash the synopsis - I think the escription above does that just fine and I don't want to give anything away. I like to go into my reads as fresh as possible. In addition to the mystery of the murdered girl we also delve into the strained relationship between Stella and her mother. I really liked that aspect of the novel. I seriously locked myself in my closet to finish the last bit of the book! And OMG, the ending! I totally didn't see that coming! This is my first read from Louise Beech, but it won't be my last. I plan on picking up The Lion Tamer That Lost next - I've seen so many great reviews around the blogosphere for it. This is her first crime fiction novel and I hope she will write more. Thanks to Anne Cater and Orenda Books for allowing me to read this fabulous book! Thrilling, intriguing, and emotional, Call Me Star Girl is an amazing read that will keep you guessing until the final page. I absolutely loved it! Louise Beech remembers sitting in her father's cross-legged lap while he tried to show her his guitar's chords. He's a musician. Her small fingers stumbled and gave up. She was three. His music sheets fascinated her - such strange language that translated into music. Her mother teaches languages, French and English, so her fluency with words fired Louise's interest. She knew from being small that she wanted to write, to create, to make magic. She loves all forms of writing. Her short stories have won the Glass Woman Prize, the Eric Hoffer Award for Prose, and the Aesthetica Creative Works competition, as well as shortlisting twice for the Bridport Prize and being published in a variety of UK magazines. Her first play, Afloat, was performed at Hull Truck Theatre in 2012. She also wrote a ten-year newspaper column for the Hull Daily Mail about being a parent, garnering love/hate criticism. 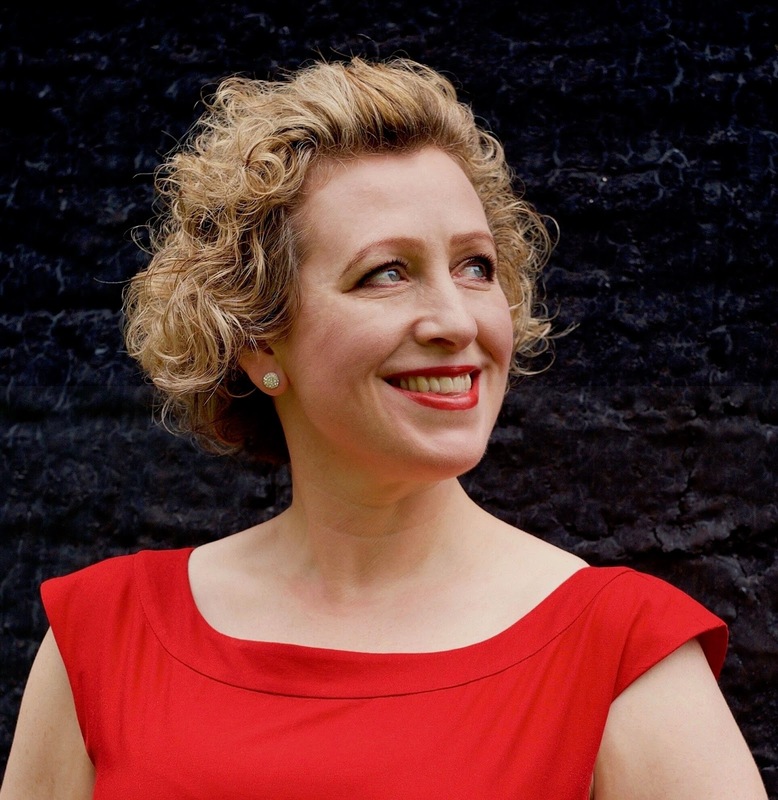 Her debut novel was a Guardian Readers' pick for 2015. She is inspired by life, history, survival and love, and always has a story in her head. Her debut novel, How to be Brave, came from truth - when Louise's daughter got Type 1 Diabetes she helped her cope by sharing her grandad's real life sea survival story. Her second novel, The Mountain in my Shoe, will be released in September 2016 and was inspired by her time working with children in the care system. When she was fifteen Louise bet her mother ten pounds she'd be published by the time she was thirty. She missed this self-set deadline by two months. Her mother is still waiting for the money.